How can young parents overcome the challenge of their children refusing to go to church? My eight-year-old son stood at the entrance scanning the sanctuary. He hid behind my skirt, feeling rather embarrassed for voicing his displeasure for the first time. My heart sank. I couldn’t help but wonder whether it was my fault that my second-born’ s relationship with God was so weak. After all, my eldest daughter was always more than happy to attend. I tried to explain to my eight-year-old son that church was not just for his entertainment. At the same time, I was also mindful not to force religion on him, fearing that this would make him reject it. I know I am not alone. I know from speaking to other parents, that a significant number of children these days, come to a point where they don’t entertain the idea of attending a church service. Father Michael Psaromatis, who has had tremendous success in attracting young churchgoers to his parish in Adelaide, said children who go are those that “have been encouraged in a loving manner to do so” and he speaks of the importance of good role models, such as parents, grandparents, etc. 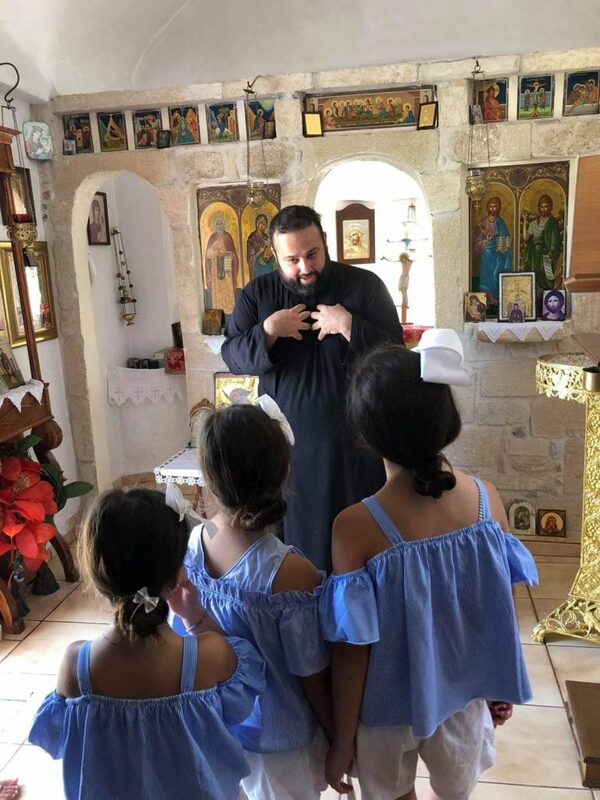 “Forcing (children) is definitely not the way to go (about it), but unfortunately, the forcing happened in our Greek Australian community mainly, to the second-generation children who either rediscovered their faith later on and/or learnt more about their faith as time went by,” he adds. According to the 34-year-old priest, himself a son of one of the longest serving priests in Adelaide, the majority of youth have not overcome their parents-grandparents’ ‘village’ mentality that confused faith with superstition. “These first-generation migrants couldn’t give answers to their children who were being brought up in a very different environment to that of the village school in Greece, therefore many of the second-generation Greek Australians were told to believe and not ask questions; a concept that is foreign to the Orthodox Faith. So the group that had this experience and never overcame the ‘trauma’ this inflicted, picked and chose what and how to pass on the faith to their children, whilst still not being able to give the right information and in many instances, repeating the same mistakes as their parents by insisting on attendance. READ MORE: How can migrants and their children adapt to the Australian day-to-day reality? Father Michael talks to young people about the Orthodox faith. “By understanding our limitations and our parents’ limitations, as well as our lack of experience with the church, we need to take time to relearn the faith of our fathers and to understand that Orthodoxy is a way of life. 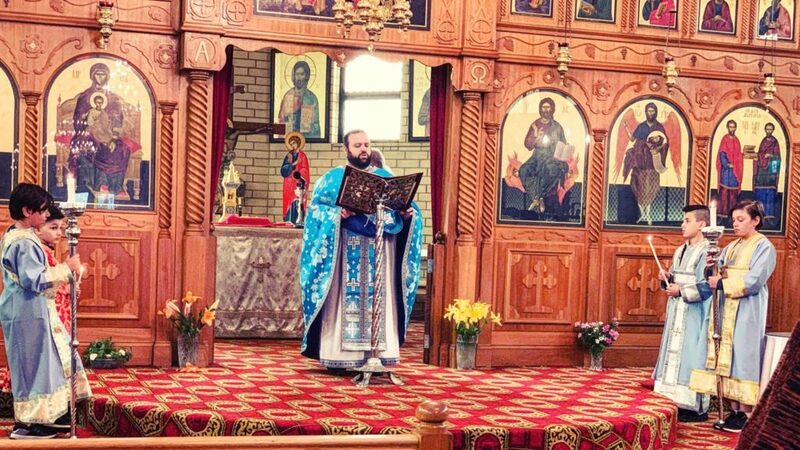 An Orthodox Christian must freely choose Christ and that salvation cannot be forced,” he says. Admittedly, it is somewhat crucial for parents and grandparents to show that they are in fact integral active members of the church community, if they wish for their children and grandchildren to stay on the religious path. But in reality, is that something that modern parents are keen to do? And how serious are we all about educating our children and encouraging them to adopt a more ‘religious lifestyle’? Can simply sitting quietly in a church make you a Christian? “We need to want to choose Christ,” explains Father Michael who encourages the parents to take the initiative and actively attend Parish organised events that facilitate adult Orthodox Christian education through bible studies, seminars, retreats, fellowship groups etc. By becoming more knowledgeable, they become capable of giving suitable answers. He stresses that religion requires commitment. “The less frequent and the more relaxed parents and grandparents become, the more children will use this against them,” he says. “It is crucial to remain relevant and close to our youth. Here in South Australia over the last few years it has been refreshing to oversee, the initiatives taken by our youth members through the St Stephen’s Central Youth Committee of South Australia of the Greek Orthodox Archdiocese. These young adults are engaging the Orthodox youth through educational forums such as workshops, Q&A sessions, seminars and activities, where modern technologies are used. “They discuss serious topics regarding our faith, such as confession and then live stream it onto the web for all to see, giving the participants the ability to interact, to ask questions, but also to answer questions posed by the Central Youth Committee. At the end of this one particular session, 63 per cent of the participants said that their perception of confession had changed, and 90 per cent of the participants said that they would attend confession after having heard the content of the session. “Together with these initiatives are of course the programs run by each parish which target most age groups. It has been refreshing to see that parishes are using social media and web-based platforms which cater to our youth, young adults and families,” says Father Michael. * Lead by example and be consistent. * Get children involved in youth groups and activities. * Encourage friendships with other children and churchgoing families. * Use online materials to make learning a fun activity (ie. www.orthodoxabc.com). * Steer away from being ‘Sunday Christians’. * Familiarise yourselves with phone applications and online technologies.